Can You Spot The Error In This Picture? 95% Of People Couldn’t Find It! Every day on the internet, something or the other goes viral, whether it be a picture or a video or anything else. This time, an otherwise ordinary looking image shared by an Imgur user has become a rage on Internet. The picture is of four friends posing together to the camera. For your kind information, the image has received over 4.7 lakh views since it was first posted by the user. Now you must be wondering why and what’s the specialty in the picture? Actually, without any disturbance in a picture, it doesn’t go viral on social media, isn’t it? 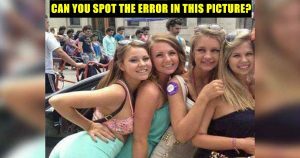 Now, as soon as you see the caption, you know you have to look for the issue or the error in it but with high concentration. Can you tell what’s wrong in the photo? Still struggling to spot the error? 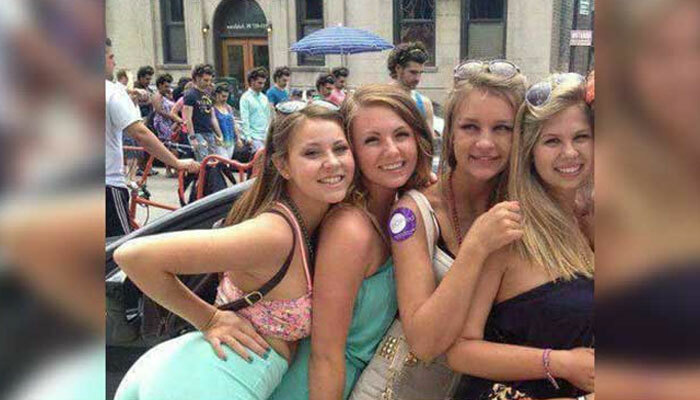 Ok, look at the people in the background closely. They all have the same face. It has become viral due to this hidden secret in this photo.